Totana Holidays Totana is known as a pottery city it boasts a rich and varied cuisine with some traditional products such as the torta de pimiento molido (ground pepper pastry), the “santiaguitos” (a Totana’s traditional candy) and the liquor called mantellina. 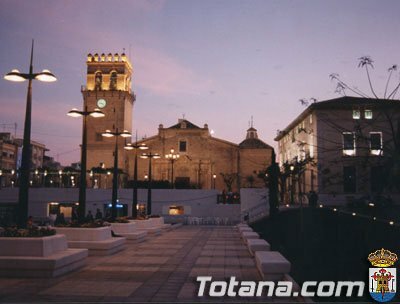 The town of Totana is situated in the south-east of the Iberian Peninsula. 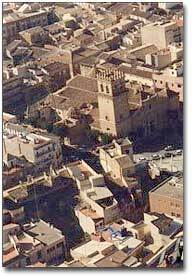 Its exact location is in the south-eastern quadrant of the province of Murcia and it covers an area of 287.67 square kilometres. Its boundary is rectangular shaped and inclines to the north-west and the south-east, with a narrow extension towards the centre on the eastern side. 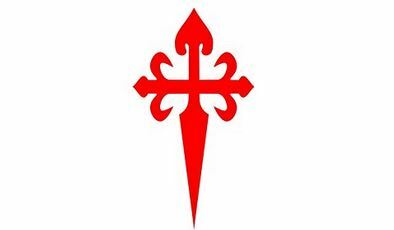 It borders on Lorca, Mazarrón, Alhama de Murcia, Mula and Aledo. 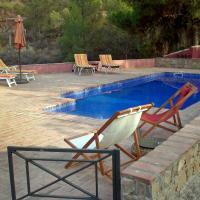 Located in Totana, This holiday villa Totana offers an outdoor pool, open fire place and view of the mountains. The villa will provide you with a TV, a patio and a seating area. Hotel Totana Sur is located in Totana, just off the A-7 Motorway between Almería and Alicante. It offers simple, air-conditioned rooms with free Wi-Fi, a flat-screen TV and a private bathroom. Set in Los Cantareros, Apartment S-30840 Alhama de Murcia 38 offers self-catering accommodation with free WiFi. The air-conditioned unit is 39 km from Murcia. The best way in which to appreciate the history, traditions and atmosphere of Totana is to take a leisurely stroll round its streets. The architecture offers countless wonderful examples of ornamental craftmanship, such as traditional wooden barred doors and wrought iron doorknockers. A simple stroll round Totana also serves to highlight the convictions, beliefs and traditional religious feeling of its residents. These sentiments are best displayed in certain quiet streets, where the inhabitants have built vaulted niches on the outer walls of their homes. These form part of a lengthy tradition and although some have disappeared over time, whilst others have been relocated, there are many which have been preserved and can be visited. MagFlags Large Flag Totana 90x150cm | 3x5ft — 100% Made in Germany — long lasting outdoor flag.